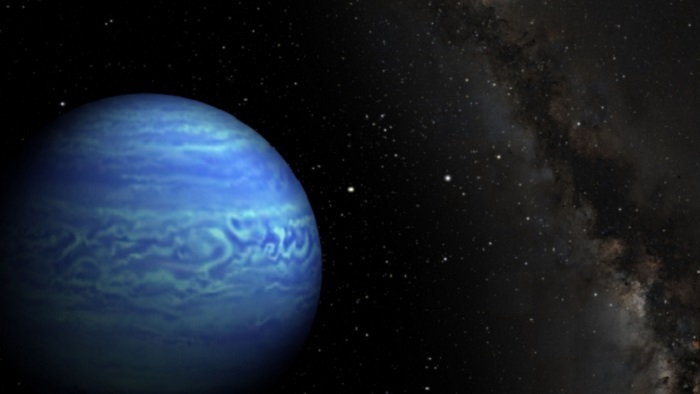 Raumfahrt+Astronomie-Blog von CENAP - Blog: Astronomie - NASA-Weitwinkel-Infrared Survey Explorer (WISE) und Spitzer Weltraumteleskop entdecken kältesten "braunen Zwerg"
This animation shows the coldest brown dwarf yet seen, and the fourth closest system to our sun. Called WISE J085510.83-071442.5, this dim object was discovered through its rapid motion across the sky. It was first seen in two infrared images taken six months apart in 2010 by NASA's Wide-field Infrared Survey Explorer, or WISE (see orange triangles). Two additional images of the object were taken with NASA's Spitzer Space Telescope in 2013 and 2014 (green triangles). All four images were used to measure the distance to the object -- 7.2 light-years -- using the parallax effect. The Spitzer data were used to show that the body is as cold as the North Pole (or between minus 54 and 9 degrees Fahrenheit, which is minus 48 to minus 13 degrees Celsius). This diagram illustrates the locations of the star systems closest to the sun. 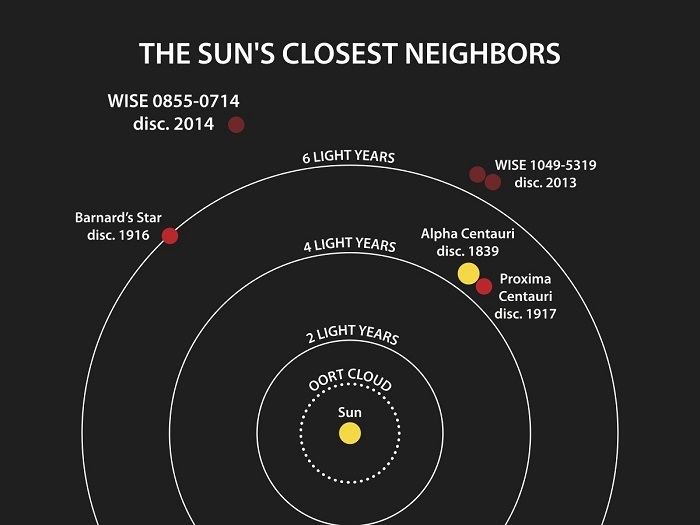 The year when the distance to each system was determined is listed after the system's name.